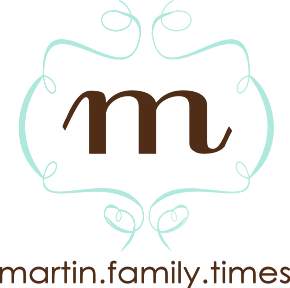 the martin family: hoot hoot! **I just added DIY instructions here :). Sorry they are not very precise...it has been a while since I made this costume, and I don't exactly have time to remake! Thank you for understanding! Did you make this!?!? Its so incredibly cute! Hope you had fun! Holy Smokes! Cutest kid and cutest costume award goes to her! Please tell me you made this?!?!?! Oh my gracious! This is outrageously cute! That is the cutest owl I have ever seen. Oh my gosh that's the cutest thing ever!! I can't get over it it's so cute. If you made that you should go into business. I mean really. That's adorable. I absolutely love it! !1 She looks like she is doing so good!! So cute!! Did you make it?? Hope ya'll had fun!! Hello my friend! It has been TOO long! Anniston made the most adorable little owl I have ever seen! She is growing up so fast and is obviously taking great strides! What a beautiful little miracle! So I wasn't sure if you knew or not but I have about 11 weeks left before we welcome our second little person into the world! Sure am missing you and am enjoying catching up on reading your blogs as I have been out of the loop for about 6 months! Things have been crazy and are just now beginning to calm down! Will speak to you soon. Would love to chat over the phone when you get a minute...just let me know and we can get the details sorted! Lots of love. I love her outfit! Your so tallented and of course she is a beautiful owl. Yes, I did make her outfit :). Y'all are too sweet. The turtleneck and pants were from Walmart, = $6.50, and I couldn't have spent more than $10 total because the cape and hat were made out of felt which is unbelievably cheap. It was totally luck that it even turned out, though...seriously. Love you guys. That is the cutest little "hoot hoot" I've ever seen!!! She looks ADORABLE! Lindsey, you amaze your mom all the time! I'm so proud of the woman you have become... inside and out! I love your creativity as well... you are so gifted! "Hoot Hoot" very cute! Looks like Annuston is having fun with it too! Give her an extra hug from me! Oh my! That is the cutest thing I've ever seen! LOVE, LOVE, LOVE it! Ummmm, this is probably the CUTEST little owl EVER!!! And you made it! WOW! LINDSEY! Get OUT! You made that--SOOO adorable- you are soo talented. I agree with Lindsey Lee, cutest kid, cutest costume! Ok, I know you posted this awhile ago, but would you be willing to put up the directions on how to make this adorable costume? This is the cutest costume. Please post diy instructions for us! I'm having the darnedest time duplicating the hat. Any advice? Two pieces sewn together just doesn't look right. Anyone duplicated this? oh my!! This is adorable!! I just saw this in another post (they linked back to yoU!) which brought be to your site. I love it! I'm trying to do thid too... doesnt look to hard but not sure about the hat? Made this costume... And not only do I love it but getting tons of compliments! Thank you so much for sharing! I used your idea last night for Halloween. My girl has pink glasses and I wanted something that could play off of them, and this worked perfectly and was sooo easy to do. Thanks for the idea! I mentioned you in my blog post.